The APA format was invented by the American Psychological Association, but since then it has been adopted by thousands of schools as the most common format for papers in psychology, social studies, and other disciplines. 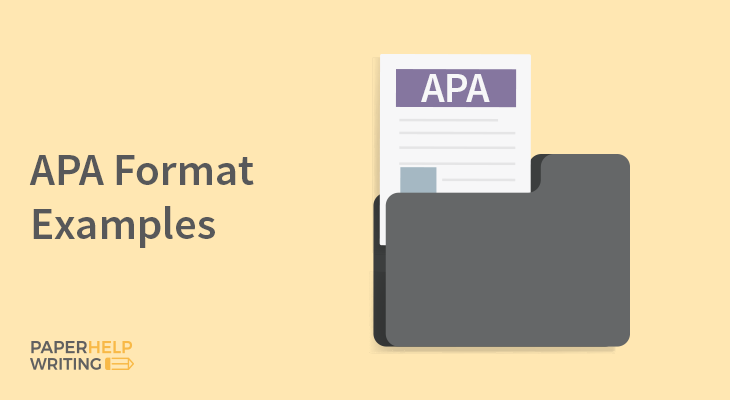 Find out how to format your paper according to the APA standards. The top part of your title page should contain the paper title, which should be flush left, and the page number, which should be flush right. The title should be located in the upper half of the title page. Remember to leave the margins around the title. Both upper-case and lower-case letters can be used on the title page. The recommended length of your paper’s title is no more than 12 words, according to the APA standards. Avoid putting titles or information about your degree in front of your name (for example, Dr. or Ph.D). The title of your paper should be very specific and provide the main idea of the paper in a concise form. Ideally, the title should include all the major variables of the paper and the connection between them. A good idea of the title is “The Effect Of Stress Levels On Driving Abilities”. Any phrases or extraneous words that don’t add to the value of the title and fail to provide any additional information, like “A Study Of…” and “An Investigation On…”, should be omitted from the title. Every source you cite in your paper needs to be properly addressed on the reference page. This page will be located at the very end of your APA paper. The reference page was designed with the sole purpose of giving the readers a complete list of sources you have referenced in your work, allowing them to easily access the sources. The reference page needs to contain the information on every source you cited in your paper, no matter how small the cited fragment may be. At the same time, each source listed in the reference page should also be cited somewhere in the text. List your references in the alphabetical order by the last name of the first author. Double-space your whole reference page. The beginning line of every entry on your list of should be flush left, but if the reference is longer than one line, the subsequent line and any lines that follow should be indented. Only the first letter of each article title needs to be capitalized, but if the title of the article contains a colon, you need to also change the first letter of the word after the colon to a capital one. Here you don’t need to use any italics, underlinings, or quotation marks. If you’re citing a journal, remember to capitalize every letter of its title. The titles of books and journals you cite in your references should be italicized. Sometimes the same author is referenced more than once with different works. In that case, you need to start your references with the oldest works and list them all the way through the most recent one. There is nothing better for displaying large portions of information in a brief and concise manner than tables. Tables are widely used in APA papers to present the results of statistical analysis and other kinds of quantitative data. However, you should note that the information introduced in the form of a graph must not be repeated elsewhere in the text. Similarly, tables should only be used when you are describing large amounts of data. If the amounts of data you need to list are small, you should describe them as text instead. Each table should be consecutively numbered as Table 1, Table 2, and so on. Each table should also have a unique title that fully describes the contents of the table. Each word in the name of the table should be written in capital letters, except for the preposition and similar words. Each table should be placed on a separate page. APA format allows only the use of horizontal lines to separate important blocks of information. Vertical lines are now allowed. Depending on the content of the table, you can choose between single-spaced and double-spaced text – the key is to make it as readable as possible. There should be references to each table in the text of your paper. The font you’re using in your table should be easy to read without any magnifying tools. Tables should only contain the most essential data, so you should always strive to keep your tables concise and informative. The content of the table does not need to exactly match the text of your paper, but it’s important to reference your table in the text. You need to merely point out what the readers should look for in your tables. The headings of the tables should be flush right. Every column of the table should be clearly identified by an informative heading. Write the first letter of each heading in capitals. You can use the most popular abbreviations without an explanation, but the more specific abbreviations need to be defined right below the table. There are situations where further explanation is needed to help the readers understand the table better. In that case, you can add a note below your table. There are three most common types of notes used in APA papers. General notes explain a particular concept mentioned in the entire table. Specific notes explain a concept used in a row or column of the paper. Probability notes refer to the probability level of a particular concept. Is there a way to present the data in the table with the use of simple text instead? Does the title of your table give the readers a clear idea about what they’ll find in the table? Have you used similar spacing throughout your tables? Is the content of the table mentioned elsewhere in the text? Are there clear labels for each column of the table? In case you’re using more than one table in your paper, is the formatting of the tables consistent? If there are any uncommon abbreviations, have you provided the definitions below the tables? If you are referencing journal articles in your paper, they should be properly cited in the reference page of the paper. Use the alphabetical order to list the journal articles. The first word in the title, as well as every proper noun, should be capitalized. The publication title and the number of the volume should be italicized. The general rule of referencing journal articles is to list the authors by their last name and initials. Next, you need to put the publication year in parenthesis and finish by a period. Next comes the title of the article, where you need to capitalize the first word and the proper nouns. Then you need to put the title of the journal and the volume; both should be written in italics. You should also include the page numbers where the article can be found. Finish by putting the DOI number, provided that it’s available. With more and more electronic sources being cited in APA papers, there are special guidelines to follow when referencing those sources. Generally, the format for referencing electronic sources is very similar to citing other sources, but there are some key differences. Most importantly, you need to include the date when the article was retrieved from the Internet, as well as where the article is located online. You need to note down that information when you’re looking for sources for your APA paper. The DOI, or Digital Object Identifier, is a much more reliable way to reference the sources: it remains legitimate even when the URL of the source is changed. The alphanumeric DOI number, which begins 10 and a four-digit identifier assigned to organizations, is often included in the top part of the source pages. If the source you’re citing has a DOI number, simply include it at the end of the reference.